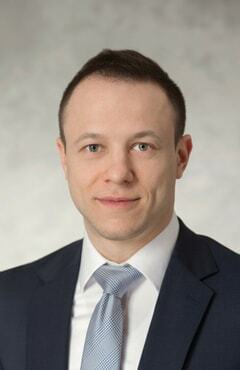 Alex Zeltser is a senior associate in the Washington, D.C. office of Tiber Hudson LLC. He has served as underwriter’s counsel, purchaser’s counsel, borrower’s counsel, and bond counsel in a range of tax-exempt and taxable housing financings, including credit-enhanced and non-credit-enhanced public offerings and private placements of rated and unrated bonds backed by proceeds of FHA, Ginnie Mae, Fannie Mae and Freddie Mac loans. Prior to joining the firm, Mr. Zeltser was a transactional tax associate with Ernst & Young LLP, where he provided technical tax advice with respect to the federal income tax treatment of mergers, acquisitions, spin-offs, and internal restructurings. Mr. Zeltser graduated from the University of Maryland in 2007 with a B.A. in political science, received a J.D. from American University’s Washington College of Law in 2011, and received an LL.M. in taxation from Georgetown University Law Center in 2012. He is a member of the Bars of Maryland and the District of Columbia.